Pop into Le Café for breakfast, a mid-morning coffee break, afternoon tea, pre-dinner nibbles or a midnight treat. 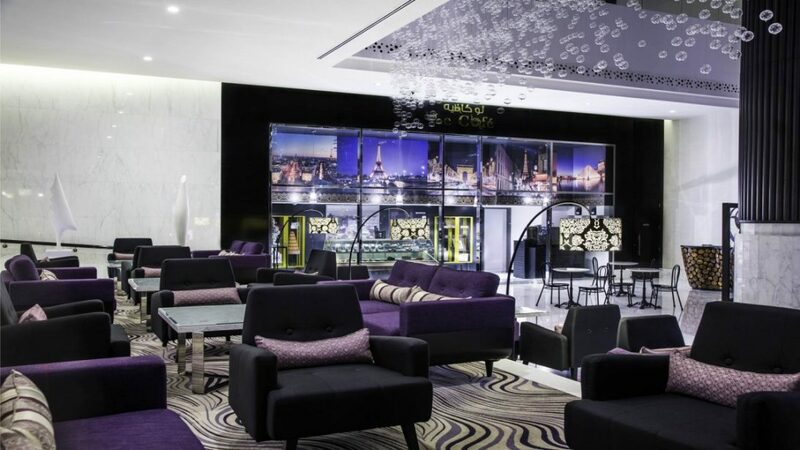 Open from 6am to 2am every day, our stylish lobby lounge caters to all your little cravings. Take the opportunity to try the unique varieties of tea and Turkish coffees. To accompany your beverage, a delectable assortment of French and Middle Eastern pastries awaits.